…thriving, bustling city? With a tour by Uncle Jacob, of course… he halted at the corner of Canal and Broadway which was indeed broad — but unpaved, just like a rutted country road. The Yiddish, German and Russian of their neighbourhood had given way to raw Yankee English, and to horse traffic shouts and rumbles, the hawking and spitting of men, the barking of dogs. Ephraim translated the signs on the buildings: College of Health, Watches and Clocks… his spirits rose with the energy of it all: work, America, freedom! 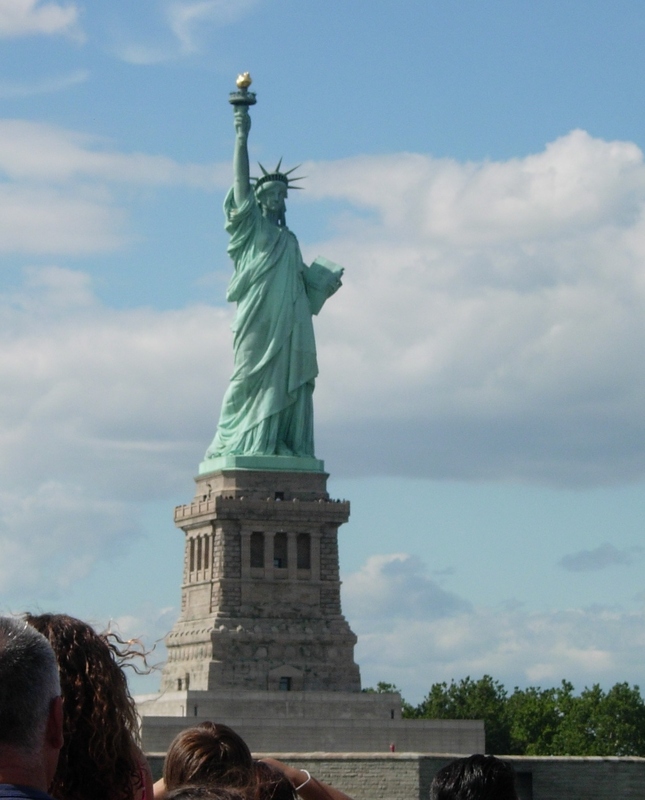 But of course there was no Statue of Liberty to greet Ephraim when he arrived in New York New York (Chapter 5) in 1850. This was a raw, growing city, where Fifth Avenue stretched up only as far as 23rd Street. Surely he would easily find work… or would he?